Bridge between enterprises databases and OPC using the OPC DA Server for ODBC! 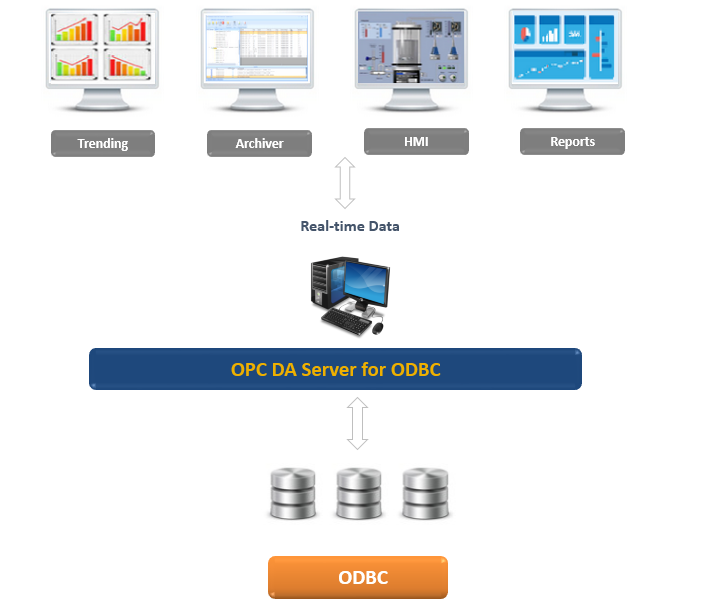 Integration Objects’ OPC DA Server for ODBC is a plug and play OPC Server software. It provides your OPC DA clients with access real-time data stored in your databases via ODBC connector. The ODBC OPC Server introduces standard OPC DA interfaces for relational databases. Thus, it allows you to set up a bridge between the enterprise databases and SCADA and DCS systems. Users will be able to transfer SQL, Oracle, MySQL data to OPC based systems within few clicks. OPC DA Server for ODBC is a feature component of the OPC Driver for Databases.